Pittsburgh NABA Pitcher of the Year. Jason Aschroft (1-0) pitched a complete game victory, scattering four hits over nine innings as the Blues overcame deficits of 2-0, and 3-1 to defeat the Illusion in the Blue & Gray Tournament opener. The visiting Illusion jumped out to a 2-0 lead in he first inning. Blues CF, Jason Goldie singled and stole second in the bottom of the second Vinny Gala singled to put runners on first and third with one out. Goldie scored the Blues first run on a double steal by pinch runner Ben Gwin who entered for non-runner Gala. The game was fast paced; solid defense by the Amish and a good pitching performance by Henry VI kept Lancaster in the game early. Lancaster added a run in the top of the fourth. 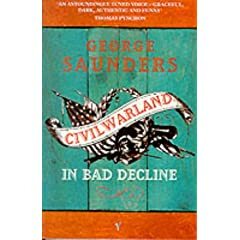 Lancaster lead 3-1 going into the bottom of the fifth when Gwin tied the game with a two run single, tying the game 3-3.
i’M CALLING ON BEN SOROSKY IS PINCH-BLOG FROM THE DAYS INN IN DUMFIRES, VA WHILE I SMOKE A CIGARETTE. While I lay here and pinch blog, I would like to give a personal shout to Ben Gwin for his amazing play in RF today. Reminded me of a Grady Sizemore type play. 2B Joe Graff was leadoff hitter today and was like Jose Reyes getting on base everytime. Jason Ashcroft aka Brandon Webb pitched a gem of a game today and I enjoyed all the groundballs that I received at 3B. It’s fun when the pitcher throws strikes and keeps the fielders in the game. There is a reason why he was the NABA pitcher of the year. BTW, Ben Gwin was right with his prediction of cheaper prices in Virginia. Gas is 3.35 a gallon and most importantly, Blue Moon, my favorite beer, is 6.75 a 6 pack. Well, Gwin has returned and I will let him return to his blog……. So in the bottom of the seventh I made a diving catch in right, then SS, BJ Rankin made a barehanded play on a bad hop when a ground ball hit off the infield lip. The game was tied at three until the bottom of the eighth, when Brian Strom, after two failed bunt attempts doubled home two runs to put Pittsburgh up 5-3. Strom would later score on Garrett Moore’s broken bat ground out, and Ashcroft shut the door in the bottom of the ninth preserving the 6-3 victory. The Blues will secure a spot in the championship with a win over the Florida Rangers tomorrow at 8am. 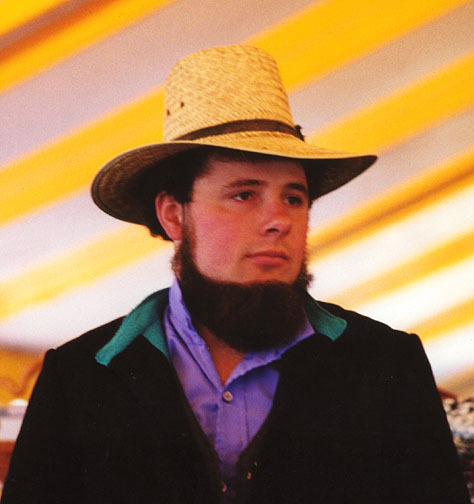 In his quest to find the Dicks sporting goods in Manasses, VA, Garret Moore got lost in the back woods of Virginia for literally three hours and arrived forty minutes late to the game. He had Guthrie, Homa and Christian’s equipment in the trunk of his car. It was a bad scene. Garrett Moore has been owned at paper-rock-scissors and has slept on the floor for two nights. Moore had an RBI in the game. Jeremy Barchie has demanded his 2009 Ducks contract include Redman. The Middlesex Pirates have dropped out of the Blue & Gray Classic. the Blues are now guaranteed three games, and have to finish in the top two of the four team pool to make the Championship game. I disagree with this format, I’d rather have a semi-final game. Saturday at 12:30 pm, it’s Bad News for the Lancaster Illusion. Without Chuck Berry there is no rock ‘n’ roll, without the Blues there is no Chuck Berry. 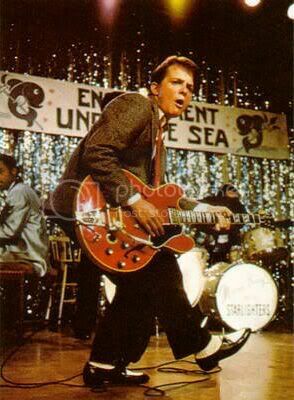 Without the Enchantment Under the Sea Dance, there is no Marty McFly. It is likely the Blues’ schedule will change again, as the 18A schedule link on the national site can not be selected. That is one potent disclaimer, it is almost as if linking the temporary schedule on yesterday’s blog post has caused a tear in the NABA space/time continuum. Much of the Back to the Future soundtrack is written by Huey Lewis and the News. Weird Al, parodied Huey Lewis and the News’ “I want a new Drug” with this number. The Ghostbusters crossing the streams, or Marty McFly meeting himself in the past? The Blues will leave for Virginia tomorrow, and begin play on Saturday. The schedule is still in flux. Look for Ben Sorosky’s travel-blog tomorrow night when you get home from your Friday evening activities. The South Oakland Ducks have had seven players selected to compete in national tournaments, the most of any Pittsburgh NABA team. This is a preliminary schedule and is subject to change. A final schedule will be produced and provided to manager’s at check-in. DO NOT duplicate or distribute this preliminary schedule. Only a schedule which reads “Final Schedule” should be used for tournament purposes. I’m guilty of possession of preliminary schedule with intent to distribute. The Blues are one of five teams in the 18A pool. As of now, the Blues are scheduled to play the Middlesex Pirates as 12:30 pm at Prince William Stadium, Home of the Potomac Nationals, the single A affiliate of the Washington Nationals. Personally I’m looking forward to playing in a stadium names after a fellow Welshman. No word on whether or not this blue mascot will be in attendance, ironically, he’s also a fellow Welshman. The Blues are scheduled to play two or their four guaranteed games at Prince William Stadium. Is that grass on the infield? Judging from the GoogleEarth pictures of Prince William Stadium,I linked we are probably playing our other two games in the complex surrounding the stadium, but I’m not sure. As I mentioned yesterday, the Florida Rangers will fight . The Rangers came in second in the Cooperstown 4th of July Tournament. There was once a Pittsburgh NABA team named the Rangers, they became the Phantoms and played a key role in the development of South Oakland Duck, Chris Wojoton. Coincidentally the Texas Rangers used to be the Washington Senators, the team that replaced the first Senator team that left to become the Twins. The second Senators were replaced by the Washington Nationals, whose minor league park will be the venue for half of the Blue Gray Tournament games. Judging by their website the New York Metro’s don’t mess around. By taking advantage of deep player pool of the densely populated NY metropolitan area, they probably have assembled a nasty squad. Metro’s second baseman, has an astronomical OPS. The Middlesex Pirates Myspace page. This team is from New Jersey, but I’m guessing there’s a Pittsburgh guy with a man-crush on Andy VanSlyke on the roster somewhere. Other reasons they could be named the Pirates include; cheapest jerseys available since the Pirates are terrible, or maybe they just like Pirates. The enigma of the 18A Pool is the Lancaster Illusion. The folks at NABA National HQ said they were a team of eight, that filled out their roster will pool players/mercenaries. Those of us familiar with Richard III know the house of Lancaster was dominated by the house of York. Look for the New York Metro’s (and the Blues) to beat the Illusion. The Lancaster Illusion is the Ducks blog favorite non-Blues team in the division. Here’s why, besides the obvious, creative, non-plural name. There is a chance their front office is operating on this kind of a level. Richard III is my favorite history play by Shakespeare. 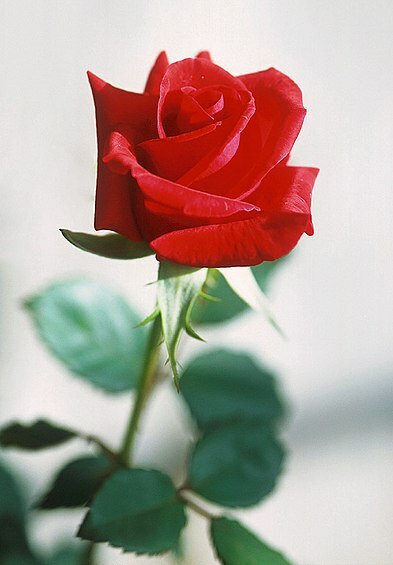 The house of Lancaster was represented by a red rose. Note: Use your Illusion II contains the ballad Civil War, which I have alluded to in relation to the Blue Gray Classic. Your satisfaction lies in your illusion. Coby this is solid Rock ‘n’ Roll. 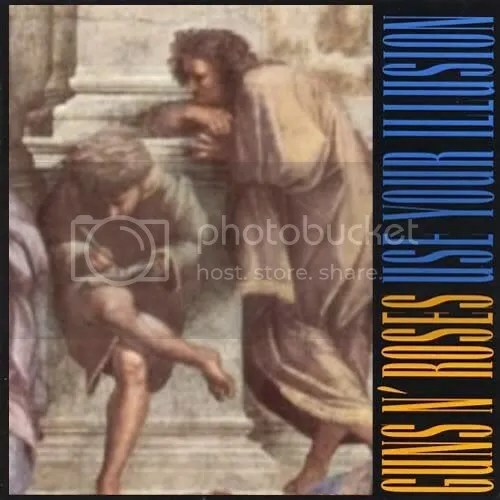 There are also the obvious connections between Axl Rose and Richard III and the dastardly things they did in their respective quests for glory, which I may develop into a thesis. If these guys from Lancaster did this on purpose they are my heroes. The Florida Rangers are sending a team to Virginia for the Blue & Gray Tournament. This is the league write up of a bench clearing brawl in their Championship game in the Palm Beach NABA where the Rangers get most of their players. “Law enforcement officials were called to the scene…” Interesting. If you are free this evening come scrimmage with the Blues and some players from the Butler County league. The Blues leave for Virginia this Friday. From the album Exile on Main Street. I was shagging flies in cargo shorts after score keeping a 2005, Black Sox Eagles game. The Black Sox won by the ten run rule, and were drinking in their vacated dugout, a few of Eagles decided to stay late to hit.that was my unemployed, newly sober summer, and I figured I’d take advantage of the half hour before the lights turned off on Moore Park. I spent a lot of time that season not knowing what to do with myself aside from playing on the Ducks, and practicing. As was the case with most games in 2005, Craig Boley, then acting league commissioner, had umpired the game. After he peeled off his umpire’s gear, he jogged out to left field, and asked me if I wanted to go to Phoenix to play on an all-star team and if I could bring fellow Ducks, Ben Hartranft, Matt Swetz and Rob Swanger. The Burgh, that was our team name; stitched in block letters across our black jerseys which looked like the kind you might buy off a street vendor in Homestead. We played in Phoenix donning our sweltering black sweaters and posted a deceptive 1-4 record. memories of one game from the trip still linger and surface on the occasional summer night when I’m riding home from a game dehydrated and covered in the Spring View infield. A deflating 11-10 loss to a team from Utah. Under an auspicious ruling the Mormons were allowed to use a bat with a 3/4barrell, the type which had been outlawed in all levels of play two years before. The contest flirted with the three-hour time limit and when we turned a double play to end the eighth inning, we jumped, hugged and cheered our come from behind victory. I had redeemed myself and we stood at 1-2 for the tournament, still alive for the playoffs. But the umpire and Karl Malone’s Mormons demanded we play on, and in the bottom of the ninth the kid with the illegal bat hit a game winning double and broke the Burgh’s back for the tournament. There was no going back after such a deflating loss. Team Malone, finished 4-1 in pool play. We were beaten thoroughly in a game that evening by a team no more talented than we were. Our lone victory came on the final day of the tournament against a California team who called themselves the Black Sox. The next season The Burgh played in the 2006 Atlantic City Memorial Day tournament. The Ducks were represented by myself and OF/P Rob Swanger. We did not win a game. I played an error free right field, and both Rob Swanger and I hit close to .500 for the tournament. We had better pitching this time around, and were in the wood bat division. The memorable game in this tournament was a 16-15 loss to Clifton, during which I went 4 for 5, but was thrown out at first base from right field. The Burgh Trailed 10-0 in the bottom of the sixth. One of the pitchers we brought down, who is currently on the Oilers, couldn’t find the zone, the game crawled along; our black jersey’s baking us like foil around a potato on a campfire. Rob Swanger came into pitch in the fourth and kept Clifton of the board, temporarily stifling the lineup which had put ten on the board. We were staring a ten run mercy beating in the face, when we started hitting. Dustin Winston, who had been 1 for the tournament hit a home run and a double in the same inning. I singled twice, John Tremmel Homered. Matt Slavonic singled, Rob Swanger entered for the DH and delivered a pinch hit double to left, it was contagious we rolled that inning. The Burgh scored ten runs in the sixth to tie the game. costly errors in the seventh lead to a 15-10 Clifton lead, but The Burgh battled back and tied it at 15. I remember a pinch hit, 2-run double by Andy Zatman. I don’t remember how the winning run scored, but again the loss was too much to overcome and we wouldn’t win a game in the tournament. Note: The South Oakland Ducks have the best batting average for a team in tournament play. Hartranft, Swanger, and myself combined to hit over .450 in Phoenix, and Rob and I both hit .500 in AC. Feel like I talked about myself more than I would have liked in that post. Pittsburgh is 1-9 in tournament play, there has never been anything on the website, we really don’t talk about it much except with each other. Two seasons separate the current team from the league’s last tournament foray, the past bares little impact on the current group except for a core group of five tournament veterans, captain Craig Boley, Dustin Winston, Brian Strom, Kenny Rayl, and myself, Ben Gwin. This Pittsburgh team has ten new players. The Burgh is gone, enter the Pittsburgh Blues. The Blues are lead by a strong young pitching rotation of Duck’s ace, Nick Homa (76 K’s), Raker/Duck?) Ben Sorosky, and Pittsburgh NABA, ERA leader (1.40) John Ashcroft of the Oilers. Where there once was that kid from the Oilers, there is now a bullpen anchored by Captain America, Mark Guthrie, along with, Strom, Winston, closer, Rankin, and Gutrie’s PCB pitcher whose name i don’t know, but he’s playing fall ball. The Bulldogs are represented by Head Coach, Joe Graff, SS, BJ Rankin, OF/P Brian Strom, and 1B Vinny Gala. The Ducks will send four players to Virginia; Homa, OF, C Gwin, Guthrie, and OF Garrett Moore. The Black Sox are represented by CF Jason goldie, and player/owner 3B, Kenny Rayl. Craig “Ultimate Warrior” Boley is the Blues captain and starting catcher, the lone Warrior on the team. Utility player Dustin Winston, is a Python/Bulldog. He hit .750 in 2005 prompting the league’s conversion to wood bats. He also is the Pittsburgh NABA’s all time tournament home run leader. He earned the win on the mound in 2005 when we beat the Black Sox in Phoenix. The Burgh’s nine losses are littered with winnable games. The black, hot-box uniforms are history, replaced by the new powder blues. A strong showing in Virginia is not assured, but the title is there for the taking. This Labor Day Weekend it is going to bad news for everyone who plays the Blues. An open invitation for anyone who wants to scrimmage today, 6pm at John Herb Field. The Pittsburgh Blues look to get into game shape in the final week leading up to the Blue & Gray Tournament in Virginia. All ’08 Fall Ball participants are encouraged to attend. 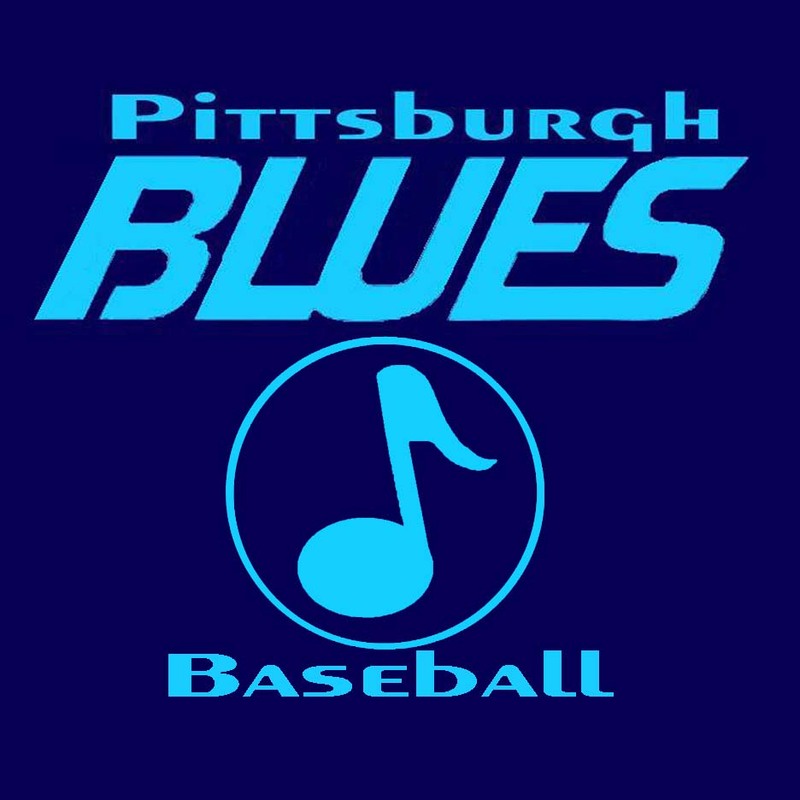 The Pittsburgh Blues take the field in the NABA Blue Grey Classic in one week. Potential member of the South Oakland Ducks Team of Destiny ’09, and Blues starting pitcher, Ben Sorosy, will live blog from his i phone on the trip from Pittsburgh to Fairfax, VA.
Coby, feel free to put something worth reading up here, I’m running on fumes. I’m commissioning a free yahoo league. If you would like to play, go to yahoo sports and figure out how to join an existing league. the live draft is tentatively set for Tuesday September 2nd at 7:30 pm, and is subject to change. If you can’t play, tell your ball playing friends to sign up. I’m coaching, my team is the Ghostbusters, it will be great fun. Environmentalist, Larry, coach of the Gray Bats, wants the containment unit shut down, claiming it poses a threat to the air and water quality in NYC. Average weight: M 2.5 lbs., F 2.2 lbs. 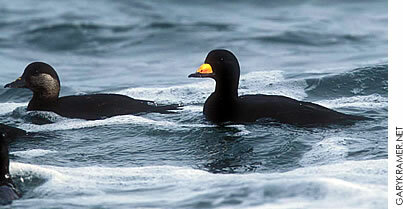 Description: Black scoters are among the most vocal of waterfowl species. Males: Male black scoters are entirely black except for a yellow protuberance on the base of the bill and the gray lower surface of the flight feathers. The legs and feet are dusky and the iris is brown. Females: Female black scoters are dark brown with light whitish cheeks, chin and throat, which contrast with a dark crown. The legs and feet are dusky and the iris is brown. Breeding: In North America, black scoters breed in western and southern Alaska, the Aleutian Islands, and scattered areas in central and eastern Canada, including southern Keewatin, northern Quebec, and Newfoundland. They also are found (and may breed) from southern Yukon and Mackenzie east to Labrador and Newfoundland. Black scoters prefer to nest in large clumps of tundra grass and lay 8 to 9 eggs. Migrating and Wintering: Major wintering areas for black scoters include the Pacific coast from the Pribilof and Aleutian Islands to southern California, the Great Lakes, and the Atlantic coast from Newfoundland to South Carolina. Population: Numbers of wintering scoters of all three species along the Atlantic coast have shown a gradual, but non-significant, decline between 1954 and 1994. However, available population data are generally inadequate for reliable determination of a population trend. Food habits: Black scoters dive to feed on mollusks, crustaceans, and small fishes found in marine and freshwater habitats. Their diet also includes small amounts of eelgrass, muskgrass, widgeon grass, pondweeds, and algae found in inland habitats.